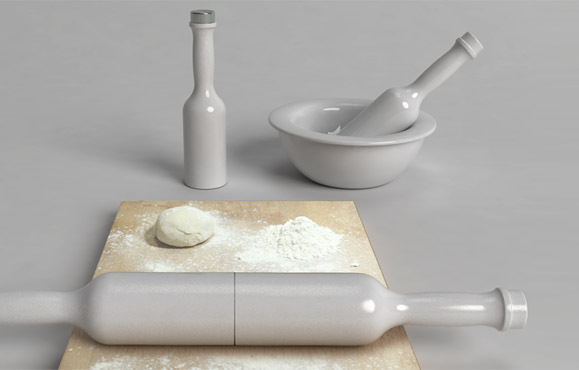 Collection of Creative and Modern Rolling Pin Designs from all over the world. Roll & Mix by Ahsayane: It's a multifunctional kitchen roller prototype that opens into two halves, each with its own unique function. 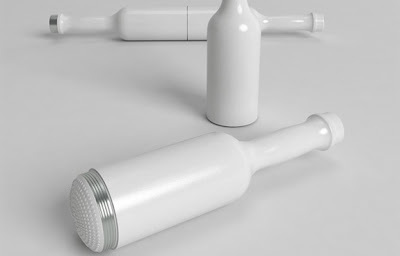 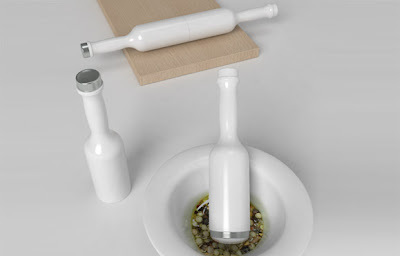 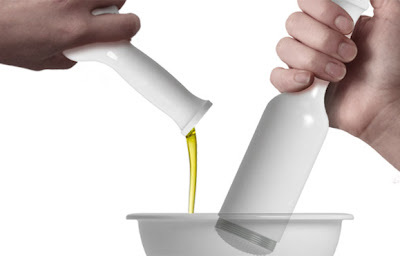 Its one half is an oil bottle and the other can be used for grinding and mixing. 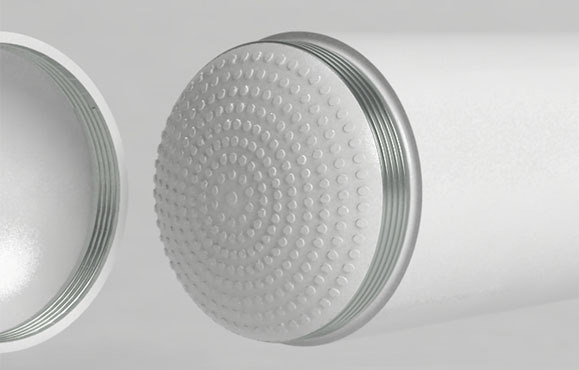 Once you are done using it, these two can be threaded together to use as a roller. 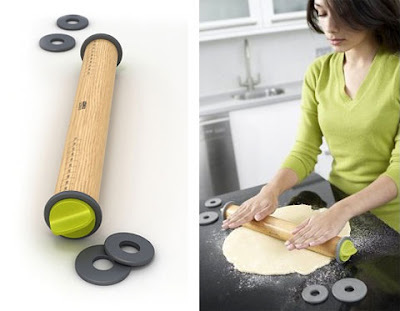 Roll-and-Store Rolling Pin: This rolling pin can actually store the cookie cutters inside itself. 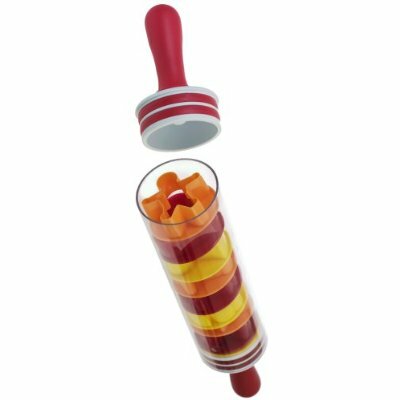 It has a removable soft-grip handle that lets you easily keep or remove the accompanying cookie cutters inside it. 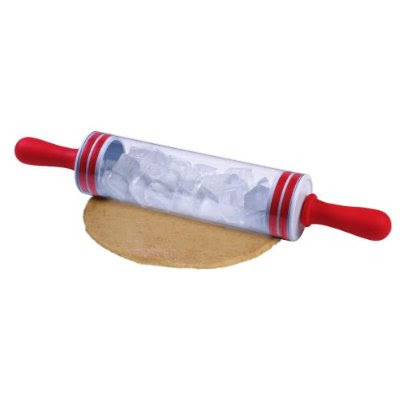 Apart from this you can also fill the pin with ice and that will prevent the dough from sticking when rolling. 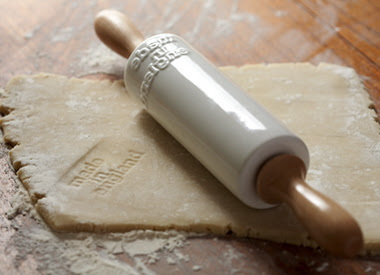 Made in England - Rolling Pin: This rolling pin has raised lettering that prints into your pastry - 'made in england'. 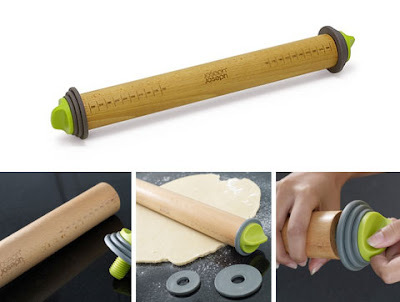 Adjustable Rolling Pin: Designed by Damian Evans, it's an ingenious cooking tool that rolls out the dough beautifully and ensures an even thickness throughout. 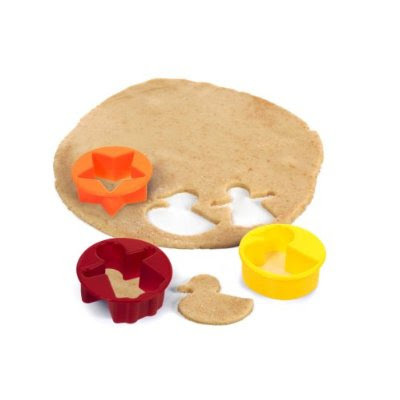 It comes with three sets of removable plates that raise the rolling pin to the required thickness of 1/16-inch, 1/4-inch and 3/8-inch off the work surface, creating the exact pastry thickness you require. 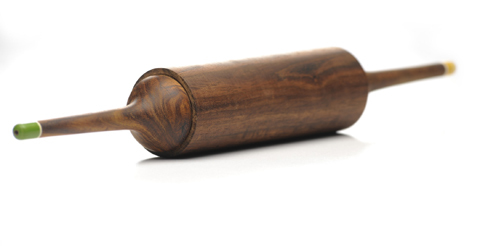 Tahir's Rolling Pin: Creation of designer Tahir, an avid cook himself, he put a modern touch on this traditional kitchen tool. It's made of dalbergia sissoo using the ancient technique of lathe and its shape and color have been designed to give this age old instrument a modern look. Second Skin For Your Car. Art School Made Me Do This.